Is our destiny written inside our very DNA? Richard Rudd suggests that humanity is on the verge of a major shift in consciousness rooted in a new understanding of how our genes operate. 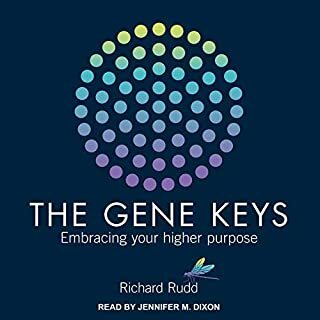 He introduces this fantastic possibility, showing how the "gene keys" are an inner language designed to transform our core beliefs about ourselves and raise us to a higher level of awareness. WONDERFUL BOOK ALONG THE THOUGHTS OF TAO TE CHING. Discover how the Goddess is guiding your life. Leading intuitive Sophie Bashford takes you on a journey to meet nine Goddess archetypes. Sharing intuitively channelled messages, beautiful guided meditations, and moving personal experiences, Sophie leads you into safe territories where your darkest fears can be healed, your deepest dreams awakened, and your entire life transformed. The history of the tablets translated in the following book is strange and beyond the belief of modern scientists. Their antiquity is stupendous, dating back some 36,000 years. 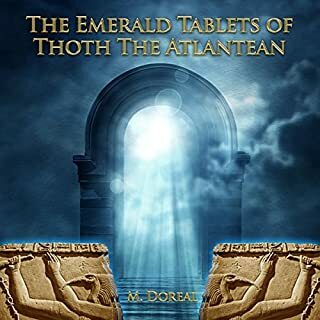 The writer is Thoth, an Atlantean Priest-King, who founded a colony in ancient Egypt after the sinking of the mother country. He was the builder of the Great Pyramid of Giza, erroneously attributed to Cheops. In it he incorporated his knowledge of the ancient wisdom and also securely secreted records and instruments of ancient Atlantis. 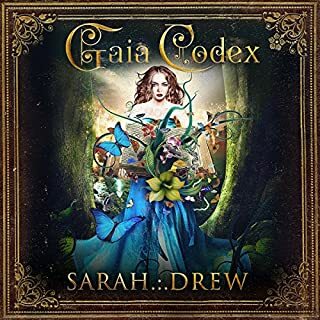 Both an ancient, "found" wisdom text and a sumptuous, epic novel, Gaia Codex reveals the hidden histories of a world long forgotten, the secret wisdom of an ancient lineage of women, the Priestesses of Astera. Set in a near future of impending societal and environmental collapse, the novel is a tale of hope and remembrance, as well as an inspired vision of humanity's origins and of the potential we hold for conscious evolution. We perform ceremonies to mark important events and celebrate holidays - yet our modern approach to ceremony only scratches the surface of its true potential. Shamanic teacher Sandra Ingerman presents a rich and practical resource for creating ceremonies filled with joy, purpose, and magic. Weaving shamanic teachings together with stories, examples, and guiding insights, The Book of Ceremony explores the elements of a powerful ceremony - including setting strong intentions, choosing your space, preparing ceremonial items, and dealing gracefully with the unexpected. I wish the author would have narrated it. For thousands of years, mystics, teachers, masters, and sages from various world traditions have read the Akashic Records - a dynamic repository that holds information about every soul and its journey. Once reserved for a "spiritually gifted" few, this infinite source of wisdom and healing energy is now available to answer both questions big and small. Following in the footsteps of the success of The Completion Process, best-selling author and modern spiritual leader Teal Swan offers an in-depth exploration and understanding of loneliness. Drawing on her extraordinary healing technique, the Connection Process, Teal offers a way to experience connection once again. The author of the best-selling The Mayan Code presents a newly revised and expanded edition of The Alchemy of Nine Dimensions, with important new insights into the approaching end dates of the Mayan calendar. This extraordinary document represents a new form of historical research and straightens out many open questions and misinterpretations. It takes the form of direct dialogues between a modern researcher and a member of the Qumran Essene community. Alive around the time of Christ, this community has become the focus of ideas about the connection of Jesus' teachings to earlier traditions. At the request of the Great Divine Director these Discourses were dictated to Peter Mt. Shasta in 1977 by various Ascended Masters, who appeared in their Light Bodies as necessary. It is the Masters' hope that all who feel the radiation of this audiobook - which is that which only ones ascended can give - will be inspired to apply their teachings on how to contact the individual God Source known as the I AM Presence, and bring its love, wisdom and power into daily life. This is what your Heart needs! The Pleiadians, a group of enlightened beings who have come to Earth to guide us to a new stage of evolution, offer new insights into human existence. Culled from over 400 hours of channeling by noted trance medium Barbara Marciniak, the Pleiadians advise humans to free themselves from the mass media, work cooperatively, and eliminate the words "try" and "should" from their vocabularies. Drawing on more than 25 years of experience as a medical anthropologist - as well as his own journey back from the edge of death - acclaimed shamanic teacher Alberto Villoldo shows you how to detoxify the brain and gut with superfoods; use techniques for working with our luminous energy fields to heal your body; and follow the ancient path of the medicine wheel to shed disempowering stories from the past and pave the way for rebirth. The Sophia Code cosmology presents a universal blueprint for embodying the return of Divine Feminine Christ consciousness. Reveals the crystalline chromosomes of your divine genome for sovereignty. 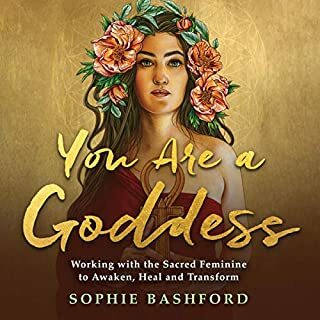 Features the heroic life stories and initiations of beloved Divine Feminine Ascended Masters in their own words, including: Hathor, Green Tara, Mother Mary, Mary Magdalene, Quan Yin, and White Buffalo Woman. An introductory volume presenting a modern-day mystery school curriculum for mentoring your highest potential with the Sophia Dragon Tribe. Receive directly downloaded revelations and initiations from the Ascended Masters, orders of angels, and Star Nations for embodying your Higher Self. Meet Sophia's highest seraphim: The Sophia Dragons, who are Creatrix Mothers and angelic guides for actualizing your sovereignty. Initiates you into a global community of Lightworkers moving as one golden dragon of Sophia Christ consciousness upon the Earth. Would you listen to The Sophia Code again? Why? I listen to this book constantly, I am on my third time right now. This book has changed my life more than any book ever. Its literally life changing in the best possible way. What does Kaia Ra bring to the story that you wouldn’t experience if you just read the book? Actually, she's a great reader. The convenience of listening rather than reading is the main reason I bought the audio book, because I already have 2 paperbacks of this book. I love Kaia's voice, though, so that is definitely a plus. Not possible if you spend time thinking about the ideas. Its too heavy with new information. Get ready to have your world rocked!!!! she talked to so much about herself and a description of how great this "sophia code" s which I know from other studies for over an hour, but truly fell short of holding my attention and essence of what I was truly suppose to gain. It is difficult to put words to the deep shifts that take place from working with The Sophia Dragon Tribe teachings. Life is now different in healthier much more positive loving ways with a deep sense of freedom from what once felt like shackles and I am only on chapter 9. This work touches the heart of your soul. Kaia Ra touches the heart of your soul. I am thankful and I can't thank Kaia enough for sharing her path and this work with us all. What disappointed you about The Sophia Code? I thought this would be actual real usable information channeled from divine feminine masters... I wanted to love this so much! I really did. I was looking for teachings from divine feminine masters and wanted to learn more about that. BUT, There is no meat in this, all fluff and a whole lot of it, i stopped listening after a few hours in. Use your discernment, feel with your own inner being to find the truth, only you know the truth within. Real ascended masters explain and teach and help you understand the principles they teach. I know what energetic transmissions are really like and it's not this... It's not a bunch of self love, "if I can do it so can you" that's not what creates miracles or transforms lives... In reality it's really about self mastery, there is nothing to be mastered in receiving transmissions or codes without understanding the principles of why it is so, and how it results in making new choices for actual real change and miracles to happen, but to the masses who want an "easy pill" for creating miracles, then this would surely appeal and sell a ton of books and someone could possibly make a lot of money from people looking for an easy way to ascend spiritually. There is no easy way, it's done with true self work and self love and understanding of your energy and how to work with it and communing with your own higher self for direction and guidance. Masters teach their techniques. Masters transmit downloads into your conscious awareness, but it is received with total UNDERSTANDING of how and why and shows you personal examples from your own life of how it is so. So it becomes your truth in the rawest and purest form which results in faith and belief because you have witnessed in your own life, you are a living testament to it. I really really hate leaving negative reviews, I'm usually a focus my energy only on what I want to grow kind of person, but I just felt so compelled to share my energetic receiving of this. This book will be good for a certain audience, such as the writer herself, who need to learn self love and who need to have it drilled into their awareness of how loved they are. I hope this book finds the ones who truly need it. If you are here to master your energy and really want to learn divine feminine principles I suggest looking elsewhere. What was most disappointing about Kaia Ra’s story? What in the world was the point of the beginning of the book to describe the horror of her early life? As someone aware of how energy works, I would like to know her pure intention for including this in the book? Trying to look credible? Trying to evoke an emotional response in order to gain entry into the readers heart? What was the true intention for inserting this in the book? Everything is about intention. I just can't see how that adds to the claims of this book at all or helps it in any way. If she wanted to write a story on her life there are ways to do that but I don't feel it should have been included in the beginning of the book, that was HUGE red flag for me from the beginning. What didn’t you like about Kaia Ra’s performance? It’s not the complete book. I thought I was getting the complete book. But this is not. I love the book, and wanted the audio to go with it. Listening to this audiobook is a mystical experience for me. I'm the kind of person who is not interested in plot and logic but am swept away by the energy. I could open this book at any point and get exactly the insight that I need for my heart. It is more than a book; it is a text like the Bible that is imbued with spiritual power. Listening for 45 minutes in the morning when I'm open to it transforms my heart and mind. It is a manual for healing our deepest wounds, the basic wound that has defined humanity. Recommended for anyone struggling with being too sensitive or healing from trauma. This is a powerful transmission for our time as we are born into the age of grace. This and the Gene keys are two of the most powerful spiritual texts that we have on the planet today in my opinion. Upon listening, you'll never be the same as this teaching is powerful beyond belief. Thank you Kaia Ra for sharing this gift with our world. Would you consider the audio edition of The Sophia Code to be better than the print version? Excellent listen. This is a living transmission and nutritious water for your souls garden. I highly recommend it for those desiring to embody transformation. Transformed my entire life !! A must must read !!! Best book I ever read. It has awoken my soul to who I truly am. The depths of Love and joy it has awoken within me to know the truth of my being is beyond words. Now I remember who I truly am. That totally blew me away. I'm still. processing that epic journey . If you are drawn to this book. Go for it. I have never had a book like this before. This truly is a living transmission. I have been seeing the number 333 everywhere for weeks and wasn't surprised to learn that the dragon tribe number is 333! This book is worth every penny, and I so glad my inner being directed me to try it out. I am familiar with a lot of the quantum stuff but there is much more to learn and have reawakened with these invocations. I have experienced and sampled so many light leaders offerings and this is one of the most powerful I have come across to date. Personally I want to own both. In the Audible version I can hear each Goddess speaking through Kaia Ra. What other book might you compare The Sophia Code to, and why? A Course in Miracles. Both have been channeled. Both are living transmissions. This transmission not only comes though the words but also in the energy behind the words. The shift happens way beyond the message of the book. What about Kaia Ra’s performance did you like? Every sentence and phrase has moved me. Without knowing it I have been preparing my whole life for this text. This sacred text has come to Humanity at the dawning of a new age. The Divine Feminine Christ Consciousness has returned the earth plane at a time when humanity are hungry to learn of our true nature. The Sophia Code is a text that if embodied, I feel will literally transform not only our lives but the lives of our families, community and the earth. It teachers us "The Way" home to our Divine Selves. It is an answer to a prayer. 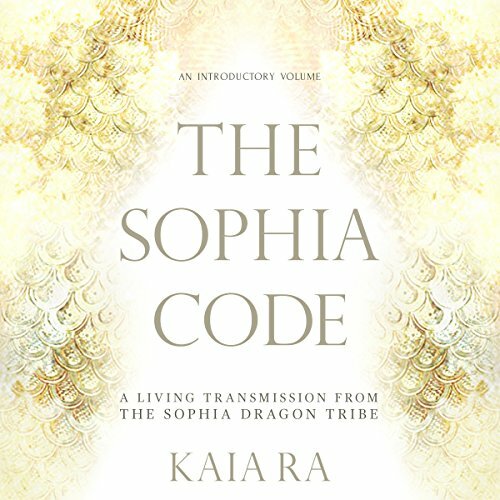 Infinite gratitude to Kaia Ra for bringing us The Sophia Code. 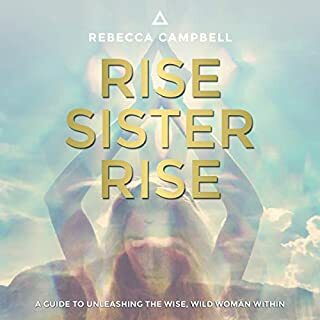 This is not just a book, it is a living transmission of divine energy that will open you to a new perspective on yourself as a spiritual leader bringing divine feminine light into the world. There is so much power in every word and Kaia Ra is a powerful, loving and articulate teacher and mentor on this human/divine journey. It is hard to compare The Sophia Code to other books but the chapter on Mother Mary recalled for me the channelled book Anna, Grandmother of Jesus where we learned the truth about both Mary and Mary Magdalene as high spiritual initiates in the Isis tradition. What does Kaia Ra bring to the story that you wouldn’t experience if you had only read the book? Kaia Ra's voice holds such a loving and powerful vibration and the words hold such a powerful frequency that to receive it audibly is particularly powerful. Also to be able to relax and simply listen rather than actively focus on reading words on a page allows you to be even more receptive to the words and to feel their effect on your body and energy. No I preferred to take my time with each chapter focusing on a different Keycode Mentor and to allow time for the initiations to be integrated. I am currently participating in The Sophia Code Curriculum with Kaia Ra where we are working with one chapter each month. It is not so much a book as a Mystery School curriculum so there is a lot to be absorbed. 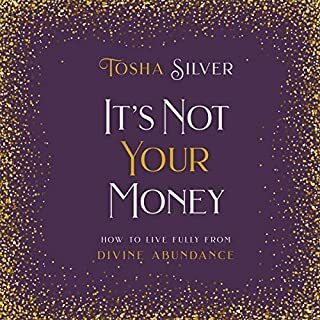 If you feel drawn to buy this book you are ready to experience yourself more fully as a divine being and to shine your light for humanity. You have been warned!!! May your journey with it be blessed.